Solutions - E Technologies, Inc.
E Technologies solution portfolio addresses every aspect of mission critical facility infrastructure from product selection and specification to deployment assistance and life-cycle service. Analyzing project needs and client objectives is essential. E Technologies’ consultation services help the consulting engineer, project manager, and end-user understand the impact of various approaches on Reliability, Energy Efficiency, First Cost versus Life Cycle Cost, and Custom versus Standard configurations. Successful deployments require experience. 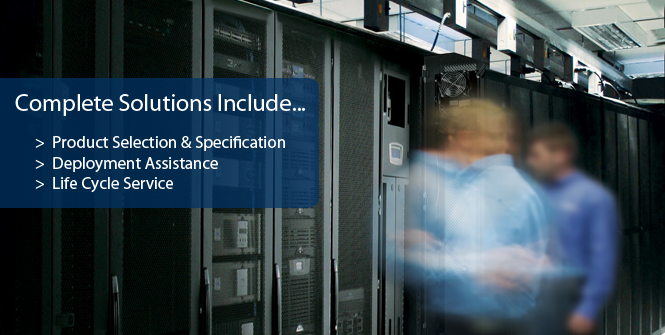 E Technologies provides expert guidance and hands on support for all our solutions. Available options extend beyond product purchase to include site planning, installation supervision, or complete turn-key solutions. Quality service and support is frequently more valuable than product. E Technologies post-sale and life-cycle service programs address every aspect of warranty, maintenance, and emergency service so that clients can select a plan that is best for their organization. Comprehensive support services help prevent costly downtime, increase asset availability, and extend the useful life of mission critical systems.